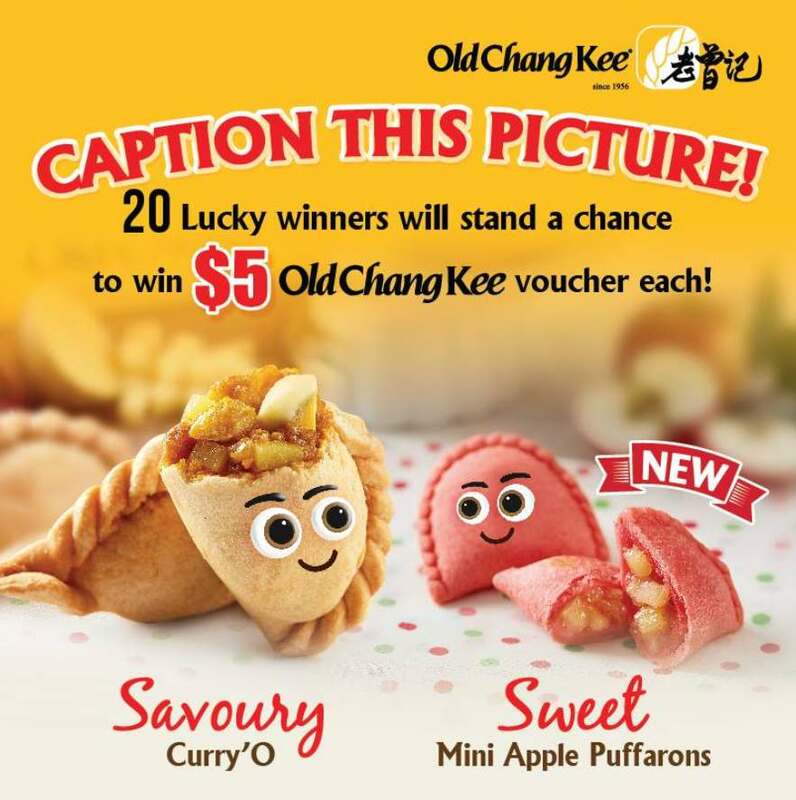 Tell us what you think Savoury Curry O’ and Sweet Mini Apple Puffarons are thinking, and you could win a $5 Old Chang Kee voucher! 3. Caption the picture and comment at the facebook post . 20 lucky winners with best comments wins a $5 OCK voucher each! Find out more at Old Chang Kee.